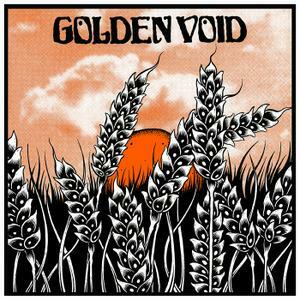 Golden Void is a new band with Isiah from Earthless on guitar and vocals and some guys from Assemble Head in Sunburst sound. This 7" is made in 500 numbered copies and features two excellent tracks. Side A starts off The Curve with an uptempo track with some intense guitar but also a nice up and down groove with organ as well. Vocals are mixed a bit back with some delay which sounds great. The focus of the mix is very much the guitar but Isaih is great! The middle-end section slows things down and he plays some great delay guitar stuff. Very cool song. Isaih sings a bit at the beginning and the end but the band is just rocking in the middle. Shady Grove is the B side track and not as cool as the A side and a bit more melodic. Isaiah does not solo nearly as much. Interesting 7". I wonder if this is just a one off side project or if this will become a real band??? ?